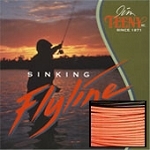 Our original integrated T-Series lines were first produced in 1983 and have been the #1 sinking type fly line in the world. All sizes have Approx. 24 foot fast sinking head with 66 feet of floating line, one piece from the factory. Our HPC puts Teeny fly lines in Approx. class of their own. 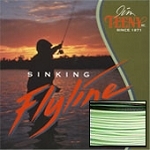 Match line size to fly rod for peak performance. 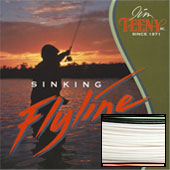 No other lines will out-perform Teeny sinking lines.